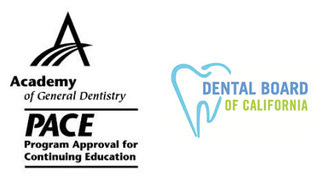 The LA Dental Meeting is a two-day Conference and Exposition that offers Free Continuing Education Lectures and Low-Cost Hands on Workshops for Dentists. Our goal is to provide dentists with the tools and resources necessary to further their knowledge and grow their business. This 2-day event will give dental professionals the opportunity to learn and gain knowledge on the latest dental topics and technologies featuring some of the most highly regarded educators in the field of Dentistry. As an Exhibitor/Sponsor, this is a great opportunity for your company to market your products to potential buyers. This year we are returning to the Hilton Pasadena Hotel where we will be taking over the entire ground floor. Exhibitor’s Applications are now available. Our speakers/presenters have been recruited from all areas of the industry. You will learn from professionals with decades of experience, vast educational accomplishments, philanthropists, dentistry and other related industries, servant leaders, and innovators.